The Grenfell Tower fire tragedy devastated a nation last year when 71 people lost their lives in the horrific blaze. Over seven months on the loss and grief felt by so many families and residents remains. The horrific fire shook the country to the core, with government representatives and members of the Royal family coming out to lend their support in any way they could. The tragedy touched Meghan too, and as exclusively reported by reporters Victoria Murphy and Matthew Young, she has made two private visits to comfort victims. Meghan made the private visits without Harry. Arriving at the at the Al Manaar community mosque, which lies in the shadow of the charred shell of Grenfell Tower, accompanied by a protection officer and a royal aide, the future duchess met victims and families. 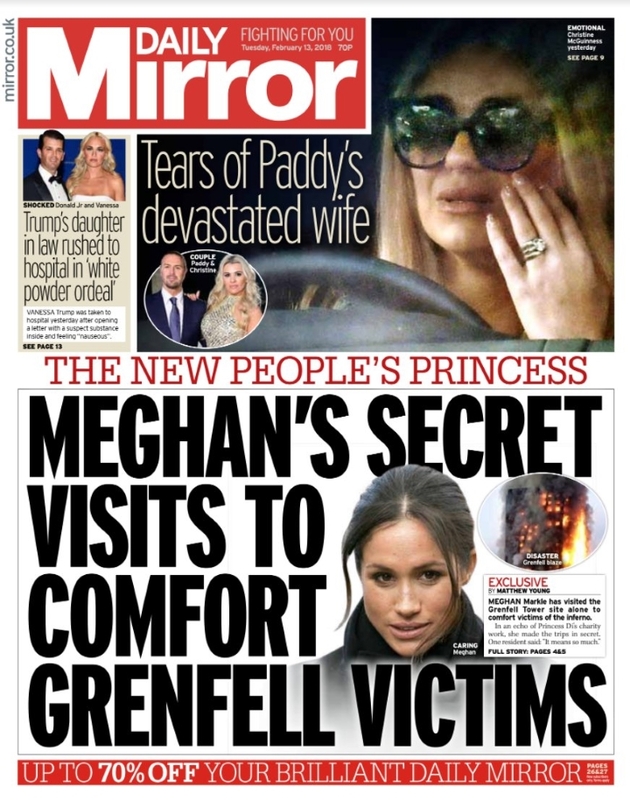 A leading Grenfell community member told the Mirror: "Meghan’s visits mean so much to us. She has a special place in our hearts." Below, we see William and Harry at the mosque during an official visit last September. 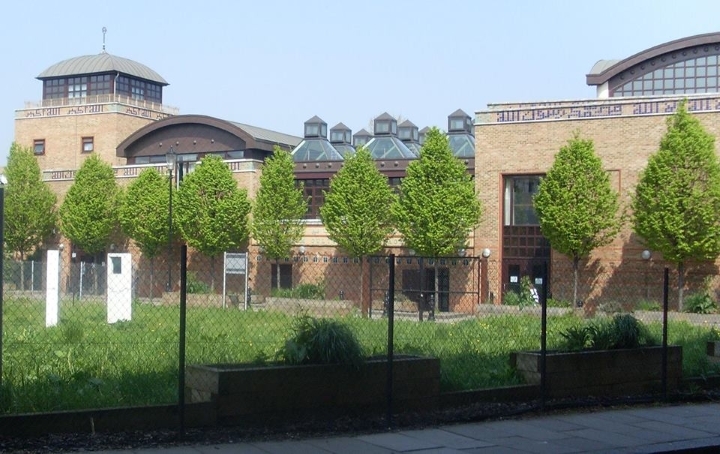 Following the fire, The Royal Foundation of The Duke and Duchess of Cambridge and Prince Harry established "Support4Grenfell", an emotional support hub in north Kensington, to provide additional mental health resources for the community affected by the Grenfell fire. Richard Palmer also confirmed the story tonight. It's hard to believe that Grenfell is located just a short distance from Kensington Palace - Meghan's new home. 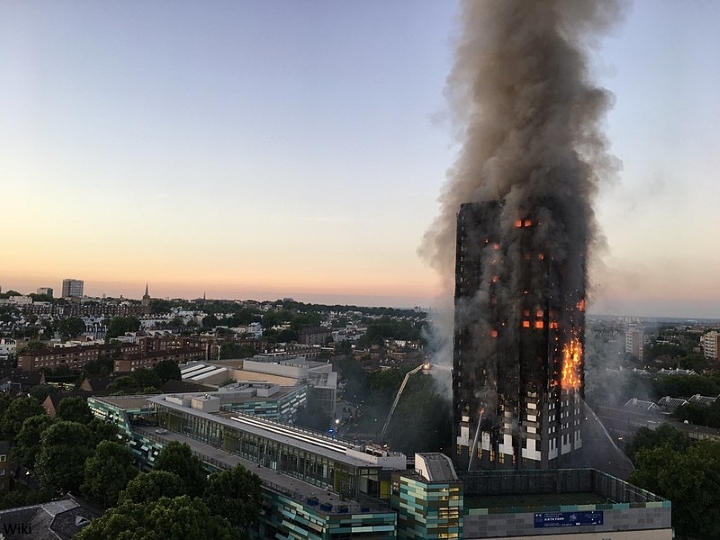 The dreadful fire highlighted the social divisions in the area; despite it's proximity to Kensington and Chelsea, Grenfell Tower is located in not only one of the most deprived areas of London, but of the country. The sense of grief and loss are still incredibly raw as residents attempt to rebuild their lives. I expect Meghan wanted to offer her support and meet those affected in a low-key setting without the media present. It's very encouraging to hear it's one of many visits she has undertaken to charities and organisations since the engagement announcement. 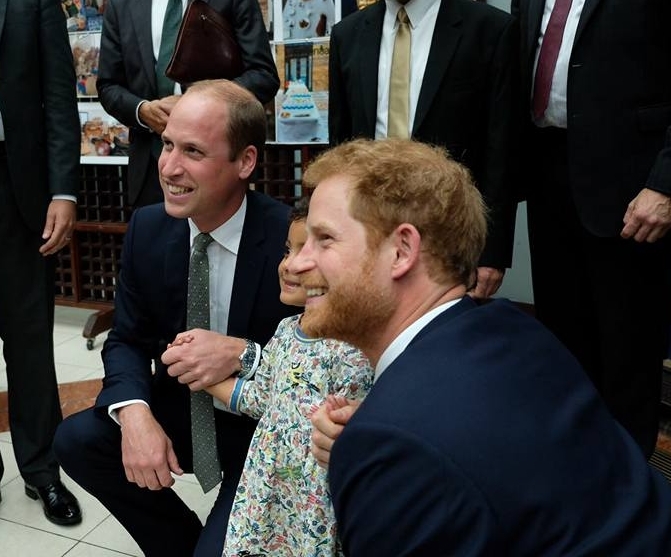 Her visit clearly meant a lot to those she met - if members of the Royal family can provide a moment of comfort to those going through unimaginable difficulties, then it's a job very well done. Meghan's certainly off to a very impressive start. This is exactly the kind of work that I hoped we would see. It seems that, almost daily, we read another story that shows just how special--and just how wonderful of an asset--Meghan is. She is going to work hard to ensure that the citizens know that she is invested in them. The fact that the visits were made in secret makes this all the more special. The people impacted by the Grenfell Tower disaster remain in my prayers. I agree completely Shantel. I understand it's one of many private charity visits she's made thus far. I've always been a big fan of public visits and endeavors, but I can let that slide on this one. She's not even married yet and she's out seeing what's what. I agree, it was a heart warming lovely gesture and before they are even married. I wonder what we can expect after that. More emotions and sympathy and initiative.Wow! And ofc there's Grenfell victim privacy to protect too...if I rmbr correctly, when Kate did that grenfell related christmas party event last December, she took time in bw things to privately convene with some victims who didn't want to be photographed. This made me cry. Meghan is such a beautiful person, inside and out. Such kindness and compassion - I didn't think I could love her more. I admire her so much. She remarked some time ago that Harry understood her, and I think that meant that trying to help people is what she wants to do and what she wants to spend a lot of time doing. This could be one of the reasons her first husband didn't work out. If she saw that Diana did this, then perhaps it helped solidify what she wanted to be and do. Nothing wrong with a role model, which Diana was for a lot of people. When you consider all the possibilities, Charles is so lucky to have two such daughters-in-law! Maybe she considers her outfits on trips/visits to be "work clothes" and thus they will not be too bright, etc. It seems like every day I find a new reason to like her more. She’s a class act and a perfect addition to the family. I look forward to seeing the positive impact she has despite all the hate coming her way. I am impressed. Really impressed. I guess we know what she's been doing with her time now! I do hope someone can be who they are without being constantly compared to Diana. It's not fair to anyone to keep doing that! This is a positive development. To connect to people in times of crisis does make a difference as long as it has a genuine purpose. I believe MM has it in her. Sometimes it is the aftermath of a crisis which continues to challenge people. Now, even the messy bun looks beautiful. I love it. As the Queen said, "You must be seen to be believed"(or something close) but more so I appreciate hearing about the behind the scenes visits and work like this. It's not just a thing you do when all eyes are on you, it's a lifestyle choice even when no one is watching. When someone shows you who they are, believe them! Harry has found in Meghan a wonderful partner both in life and work. I'm so happy to see Meghan really immersing herself in not only the culture and royal life but also being involved with learning and meeting people one on one. I would not be surprised if she took up a long term apprenticeship or internship. “boots on the ground” mentality. I am hopeful once again. So strange that the tower and Kensington Palace are so close to each other. What a dichotomy. I love hearing this. I suspected she was quite busy behind the scenes after learning she was on the Endeavors Fund judging panel. Meghan is such a class act and talk about hitting the ground running! I believe Princes Harry and William are both blessed: it is such a pleasure to watch Catherine grow into her role as future queen on Charlotte’s other blog, and this is where I now come for my news about Meghan, whom I believe is going to be another extraordinary partner to her husband and asset to the Royal Family. Thank you so much, Charlotte, for providing such happy and supportive places for your readers - if I’m having a down day (a continuous battle with depression) or accidentally come across something nasty online, I come back to read (and in some cases, reread) your blogs and other readers’ comments, and immediately feel a lift in my spirits - they have become very important “happy places” to me. Doing things like this when you know the world is watching is fine and dandy but it’s what you you do when no ones watching that shows your true character. I that she’s out there trying to get to know the people and places of the UK. I love that she’s not afraid to venture off by herself rather than having Harry there as a buffer. I don’t like when the press bring Diana up whenever Kate or Meghan does something. The press been looking for a replacement ever since she died and when they bring her up these days it’s usually for that reason. Well, this is exactly the sort of thing that Diana did in her day and I don't think the comparison is necessarily a bad one. AND, may I suggest that, like Diana, this girl is not afraid to take the bull by the horns and is unlikely to allow the palace to have complete control of her image. Great to see this - it just proves her dedication to discovering more about charities and the wider issues within the UK. Grenfell, in particular, would be a place where the media scrum following her would be too intrusive, I would suspect, to allow her to fully comprehend and empathise with the community here. The fact that it seems that other charities have been visited/will be visited like this is heart warming to know her 'apprenticeship' is going well! Looking forward to today's public engagement! Well, what can I say: That´s her, that´s Meghan. But as one of her staunch supporters, I also know she´s got a MEGA-wedding to (at least co-)plan, attend the prestigious UBRP (=University of British Royal Princesses-to-be), which is very much a full-time job in itself (because of the time-line), help create her dream wedding-dress (which should make her glow even more, Harry swoon, "progressive" royalists cheer, "traditional" royalist NOT swoon, oh yes and keeping it a secret 100% should also not be forgotten,I mean, easy, RIGHT? ), learn everything she needs to know for the immigration process, her baptism and confirmation, attend pre-wedding sessions with the Archbishop of Canterbury, prepare and do the engagements touring the country - uhhhm, did I forget something? So if she´s not appearing out in public every week, I sit back in my chair and relax - that woman has so much on her plate right now, I´m getting seriously stressed just by THINKING about it - and, mind you, I´m not easily stressed!! If she´s doing some engagements in private - well, I trust her judgement on whether a visit should be made in private or not. So far, I´m amazed at what she has accomplished since news broke that she was about to move to London. She´s a "woman of substance", that´s for sure!! Meghan, you rock!! If she’s able to give comforting words to those who need comfort, why not? If she’s able to spread positive energy to the victims, why not ? There’s a lot of love and kindness to go around. I have reserved judgment about Meghan, waiting to see how she does in her new role. For after all, her outfits and her hair, are not the sum total of Meghan Markle. With the latest gestures of visiting groups in private, she is well on her way to making a major contribution to the Royal Family. Also, I'd say she is a doer, who can't sit still and become a lady of leisure. It would appear, that when there are no official functions, she uses her initiative to get out and do good works. I keep forgetting to check your blog. I'm so thankful and appreciative for your coverage on Meghan. There doesn't seem to be any others. Unfortunately WKW isn't going to cover Meghan due to time constraints. You are to be so commended. I am so glad Meghan is doing private visits. This says so much about her as an individual. Thank you for the good information too on the wedding plans thus far. You are outstanding. I wasn't familiar with Meghan when I heard that she and Harry were engaged -- I watch almost no TV these days so had never seen Suits. (I've since watched the first season, and I think the bold, assertive woman we see on the show is the real Meghan in a lot of ways. She's obviously never been shy about speaking up!) The more I learned about her charity work and desire to make a genuine positive impact on the world, the more I recognize that Harry found a perfect life partner. Her unpublicized visits to various charities, including the Grenfell Tower survivors, speak volumes about what she sees her life becoming as a member of the Firm. She may end up pulling her weight as much as Princess Anne or Sophie, who both carry a large load of royal work. She certainly seems eager to dive in and get to work! I'm so glad that she and Harry are not just crazy about each other, but as they devote themselves as a couple to charitable efforts, their effect will be more than doubled. As an American, we're going to be very, very proud of our American duchess/princess, for who she is. She's such an outstanding person, and I know she's going to be a huge asset to the Royal Family! Keep up the charity work, Ms Markle. It is vital. Also, it is very good to know, YOU do NOT have to have the eye of the camera to spread encouragement and comfort to those who need it. Your ‘sparkle’ touches us all. Thanks, Charlotte.